2018 is coming to an end in few days and before we move on, the holiday season is a great time to prepare your music and your social media branding ready for 2019. Here are 5 ways you can prepare your music and your social media branding for 2019! Create a Spotify playlist featuring all of your original songs, with the newest ones on top. This way, people can hear the newest songs first and gradually move down your catalog. People are more likely to find your music on playlists, rather than your profile page. 2) Polish your Spotify artist page Speaking of your profile page, it is very important that you have a polished introduction page on your Spotify and Apple Music. Spotify allows you to put a picture gallery, which is a very neat new feature they provide. Moreover, they also allow you to post your biography, your favorite songs, social media links. Having your Spotify page nice and ready speaks a lot for listeners and will only make a positive impact. Also, Spotify will sometimes do a cool thing and send emails to your followers in a certain town to alert them of an upcoming gig of yours, along with ticket info and a link to your music on Spotify. However, they can only do this if you have your images uploaded to your Spotify gallery! 3) Create an email and mobile list Email is a great tool for sending specific messages and selling merchandise online to your superfans. You really should have an email list if you don’t have yet. You can get started with a few emails of friends and family to develop your list, and collect emails after shows. Gradually, your list will grow and get to be very sizeable! If you already have your email game strong, don’t worry, there’s always more challenge! Do you know what is more effective than email when engaging with your superfans? Texting! Text messages have a 98% open rate, while emails only have a 20% open rate. To even further delve into the text and email comparison, text has a 45% response rate, whereas an email only has 6%. So the numbers speak for themselves. To learn how you can use Adva to build your email and mobile database for your superfans, check out this article first! 4) Update your website (or create one if you don’t have yet!) Your website is your social hub. It should be the first thing that shows up when people search for you in Google. If they can’t find your social info, they should be able to find everything on your website. Create a website if you don’t have yet, and if you do, make sure all your concert, biography, press and social media information is up there. Another important section is that if you don’t have a domain, please get one. It is very hard for Google to bring up non-domain websites, such as Wix links etc. 5) Create your own merchandise. You don’t have to be a professional designer or illustrator. You can get started with your merchandise store by selling your singles, EPs and albums. Then, gradually you can create lyric books, pins and posters. Then you can always ask for a friend for a favor or hire a illustrator for an affordable price to get you a logo design to move on to the t-shirt and hoodie territory! 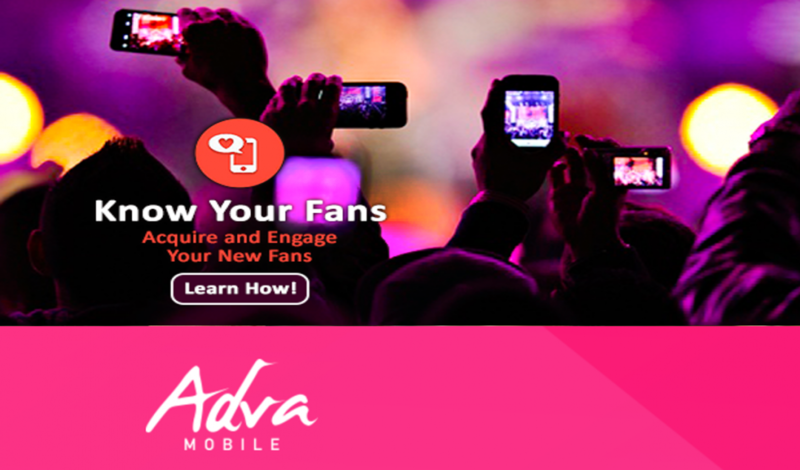 With Adva Mobile’s platform, the biggest win for you is that you get your own store. There are no intermediaries, no middle man, no hidden fees. You sell your merchandise and keep your revenue. The best part of having your own store is that you can learn who your superfans are. You can identify who they are, which city they live and how they engage with your products (making a purchase increases their engagement score). This is a very useful tool, because other websites or platforms who might host your merchandise usually will not provide you with your fan demographic.